A night march with students shouting slogans of Azadi might be a common sight at Delhi's Jawaharlal Nehru University or the Jadavpur University in West Bengal. 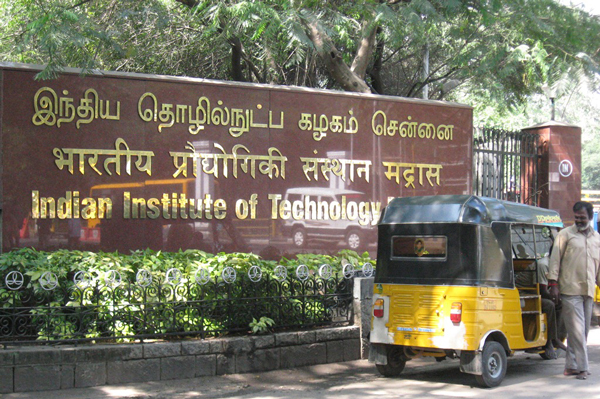 But that is definitely not the case at the Indian Institute of Technology - Madras. But the institution hasn't remained unaffected from the developments in JNU and Hyderabad Central University. About 200 students and a few faculty members of IIT-Madras have come out in support of the JNU students who have been accused of sedition. "You can't make sense of some of the events today. No one should be made to feel vulnerable and no one should be hunted down," Sonika Gupta of the department of humanities and social sciences, told the gathering after a half hour march across the campus. She added, "It's time to collectively articulate politics and I'm overjoyed about the march. This is significant." Earlier in the week, a group of IIT-Madras faculty had weighed in on the JNU row issuing a "letter of solidarity for JNU". In this they had stated, "The atmosphere of stark binaries, needing declaration of loyalties is a dangerous and demoralising one, and will not lead to a vibrant state or nation." And also that, "The nation cannot be one constantly threatened by any and all criticism." Forty one faculty members from IIT Madras have endorsed this letter. There was another set of 56 faculty members who had also sent out a petition to President Pranab Mukherjee, as a reaction to the earlier letter, titled, "Save our educational institutions from the scholarship of abuse and hate". In this they had expressed concern about institutions of higher learning being converted into "war zones", saying that calling for the country's "dismemberment and ruin" in the name of dissent is not acceptable. They had also gone on to state that "Young, simple minded and (many-a-time) poor students entering the campuses are being seen as fodder in the ideological war of their mentors". At the solidarity march, the entire security apparatus of the campus was present as the students walked peacefully from the Central Lecture Theatre (CLT) building to the lawns outside the Himalaya Student's Mess. Media personnel were stopped and sent back from the gate. There was simmering tension in the air with the chief security officer requesting the students to walk silently, without drum beats or sloganeering. 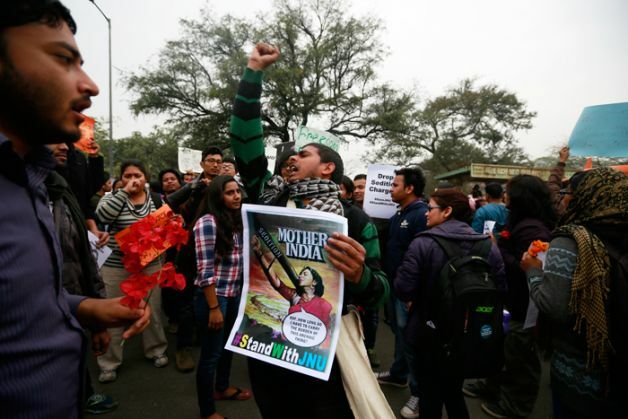 However, the students continued sloganeering, in support of their counterparts in JNU and Hyderabad Central University, till they reached the Himalaya lawns. "This event is not being conducted under any banner and it's just a bunch of students and faculty who have come together to express their opinion," said Aaron Antony, 22, a student at IIT-M who was part of the march. "It's heartening to see solidarity for the right to dissent," he added. Not everyone on campus seemed supportive of the solidarity march. One student, who didn't wish to be named, said, "I don't know why these people talk when they don't know the details of the issue. They are always creating trouble on campus." Just before the march, an hour long open, panel discussion was organised on the theme - "the idea of a university". Sibi Arasu is an independent journalist based in Chennai.